It is all about the blues for Americana godfather David Bromberg. He has played with everyone, toured everywhere, and can lead a raucous big band or hold an audience silent with a solo acoustic blues. He is the master of multiple stringed instruments that he uses to guide audiences on an incredible musical journey. For his performance at the Hall, Bromberg is joined by his Big Band. Bromberg began studying guitar-playing when he was 13 and eventually enrolled in Columbia University as a musicology major. The call of the Greenwich Village folk scene in the mid-60s drew David to the downtown clubs and coffeehouses, where he could watch and learn from the best performers, including primary sources such as his inspiration and teacher, the Reverend Gary Davis. His incredible journey spans five-and-a-half decades, and includes adventures with Bob Dylan, George Harrison, Jerry Garcia. A musician’s musician, Bromberg’s mastery of several stringed instruments (guitar, fiddle, Dobro, mandolin), and multiple styles is legendary, leading Dr. John to declare him an American icon. In producing John Hartford’s hugely influential Aereo-Plain LP, Bromberg even co-invented a genre: Newgrass. During a period of self-imposed exile from his passion (1980-2002), he opened a shop in Wilmington, Delaware, called David Bromberg Fine Violins, and became a renowned violin expert. In 2002 he made a triumphant return to music-making and since then has been unstoppable! Bromberg’s musical revitalization has him playing shows on his own, or with his own David Bromberg Quartet. He also has reunions of the David Bromberg Big Band, which we are thrilled to host onstage here at the Hall. Listen for that joyful noise – David Bromberg’s back! Bromberg’s special guest for this performance is Loudon Wainwright. Wainwright’s long and illustrious career is highlighted by more than two dozen album releases, movie and TV credits, and now his new autobiography, Liner Notes (2017 Penguin/Random House). In 2010 he won a Grammy for Best Traditional Folk Album for High Wide & Handsome: The Charlie Poole Project. His 2012 recording, Older Than My Old Man Now, was named one of NPR’s Top 10 Albums of the Year. In 2014, Haven’t Got the Blues (Yet), marks his the 26th career release to-date. Singer-songwriter Brett Dennen shares his California folk sensibilities with sweet-natured pop with hits like “Ain’t No Reason” & “Wild Child”. The singer's mostly acoustic tunes lean toward uplift and peace. He's able to crank out big pop songs complete with splashy keyboards, catchy hooks and danceable beats, yet Dennen can strip his sound down to just his voice and a guitar with equally captivating results. Singer-songwriter Brett Dennen is a contemplative introvert by nature, an adventurer by soul, and the great communicator by effect. Much of his music stems inspiration from indulging in the natural environment around him – from camping trips along the Sierra Nevada mountain range to climbing Everest and Kilimanjaro. In the consistent succession of six previous albums released since his self-titled 2005 debut, Dennen has fluidly motioned between worlds of self-reflection and discovery, and interacting with the environment outside of the self. Let’s is the first in a series of two EPs created with songwriter/producer Dan Wilson (Adele, Dixie Chicks) for 2018 release. The album is evidence of Dennen’s inherent ability to create community amongst listeners. As someone whose endeavors include a mountain town ski “Lift” series advancing environmental activism in the winter, and a beach “Vacationer” series supporting local environment preservation in the summer, Dennen has found a niche way of incorporating his love of music and the outdoors into his live tours. Dennen is also an avid painter, most prominently with watercolors, creating artwork that can be seen in much of the branding for his albums, as well as his side projects. With an evolving appreciate for food and beverage, he developed his own line of wine Rosés, consequently named Dennen Wines, for which he also incorporates his artwork onto the labels. The California Rosé of the collection scored a 91 on Wine Spectator. Out of all wines, Dennen picked Rosé because he feels it “celebrates being alive,” and as a drink that is perfect for any gathering, any season, it goes hand-in-hand with everything that Let’s represents. Dennen currenlty resides in Northern California. The Wood Brothers hold a special place in the hearts of fans in the Capital District for their performances at Levon Helm's legendary Midnight Ramble. This trio - guitarist Oliver Wood, bassist Chris Wood, and drummer Jano Rix - adapts blues, folk, and roots music into their own evocative sound. Indeed, The Wood Brothers’ sixth outing, One Drop of Truth, dives headfirst into a deep wellspring of sounds, styles and influences. Whereas their previous outings have often followed a conceptual and sonic through-line, here the long-standing trio featuring brothers Oliver and Chris Wood along with Jano Rix treat each song as if it were its own short film. The end result is undeniably The Wood Brothers’ most dynamic recording to date. Reggae singer, rapper, beatboxer, and alternative rocker Matisyahu brings stripped back versions of his chart-topping songs ("King Without A Crown", "One Day") to this acoustic show. - A limited number of $50 Gold Circle tickets are available. Josh Ritter's acclaimed 20-year career as a songwriter and musician reaches new heights with the release of his ninth full-length album, Gathering. In Josh’s words, "I began with an exciting sense of dissatisfaction, and what emerged, as I began to find my voice, was a record full of storms. I still can’t tell what era these stories are from. They feel part roustabout, part psalm to me." A songwriter, a musician, a New York Times best-selling author, a painter, a consummate performer. Josh Ritter encompasses all of these descriptors and more. He is a true artist. One who is not afraid of growing, changing and constantly challenging earlier versions of himself. Here, two decades into his storied career, Josh Ritter is just getting started. This is a special solo acoustic show. Two amazing musicians together to create one phenomenal night of music. Acclaimed American singer/songwriter Martin Sexton and the extraordinarily gifted Joan Osborne bring their talents to the Hall on Saturday, April 14, each performing their own set. Mr. Sexton will perform selections from his vast catalog, along with songs off his latest release, Mixtape of the Open Road. Ms. Osborne will be singing a selection of Bob Dylan songs off of her latest release, Songs of Bob Dylan. Long-time friends Lyle Lovett and Shawn Colvin come together for one incredible acoustic evening of music as these two master performers and songwriters share songs and stories. A singer, composer and actor, Lyle Lovett has broadened the definition of American music in a career that spans 14 albums. Coupled with his gift for storytelling, the Texas-based musician fuses elements of country, swing, jazz, folk, gospel and blues in a convention-defying manner that breaks down barriers. Whether touring as a Solo or with his Acoustic Group or his Large Band, Lovett’s live performances show not only the breadth of this Texas legend’s deep talents, but also the diversity of his influences, making him one of the most compelling and captivating musicians in popular music. Since his self-titled debut in 1986, Lyle Lovett has evolved into one of music’s most vibrant and iconic performers. Among his many accolades, besides the four Grammy Awards, he was given the Americana Music Association’s inaugural Trailblazer Award, and was named Texas State Musician. His works, rich and eclectic, are some of the most beloved of any artist working today. SHAWN COLVIN Singer, songwriter, and author Shawn Colvin won her first GRAMMY Award for Best Contemporary Folk Album with her debut album, Steady On. She has been a mainstay of the singer-songwriter genre ever since, releasing eleven superlative albums and establishing herself as one of America’s greatest live performers. She triumphed at the 1998 GRAMMY Awards, winning both Record and Song of the Year for Sunny Came Home. Shawn Colvin’s forthcoming release, The Starlighter, will be released on Amazon Music on February 23rd, 2018. The Starlighter features Shawn’s tender renditions of traditional and standard children’s lullabies. The result is an album that captures the magic and mystery of children’s songs while also offering a moving and timeless musical experience. Lucy Kaplansky, Richard Shindell and Dar Williams revive their celebrated folk-pop collaboration for their first performances in nineteen years. The band recorded their eponymous debut in 1998 for Razor & Tie Records followed by a sold-out nationwide tour including New York’s Town Hall. The collection of twelve mostly cover songs was really a tribute to fellow singer-songwriters. A mainstay on radio during the late 1990s and early 2000s, the album ranked fourth among AAA radio station’s most played records in 1999 and continued in high rotation well into the 2000s. Born in the Andalucian city of Córdoba, Paco Peña began learning guitar from his brother at the age of six and made his first professional appearance at the age of 12. In the late 1960s, he left Spain for London, where his recitals of flamenco music captured the public imagination. Venues for his solo performances have included the intimate Ronnie Scott’s Jazz Club and the monumental Royal Albert Hall in London, New York’s Carnegie Hall and the Concertgebouw, in Amsterdam. He has shared the stage with fellow guitarists, singers, and instrumental groups, bridging diverse musical genres, including classical, jazz, blues, country and Latin American. In 1995 The New York Times declared that: “Mr. Peña is a virtuoso, capable of dazzling an audience beyond the frets of mortal man. He combines rapid-fire flourishes with a colorist’s sense of shading; this listener cannot recall hearing any guitarist with a more assured mastery of his instrument.” It should come as no surprise that readers of America’s Guitar magazine judged Paco Peña as best flamenco guitarist of the year for five consecutive years. Bruce Hornsby’s work displays a creative iconoclasm that’s been a constant in the artist’s two-and-a-half decade recording career. His commercial stock soared early on, when “The Way It Is”–the title track of his 1986 debut album–became one of the most popular songs on American radio. Despite his early mainstream successes, Hornsby has pursued a more personal, idiosyncratic musical path, focusing on projects that sparked his creative interest, including collaborations with the Grateful Dead, Spike Lee, Ricky Skaggs, Don Henley, Ornette Coleman, Bob Dylan, Bela Fleck, Bonnie Raitt, Pat Metheny, and Robbie Robertson. Bruce Hornsby has built one of the most diverse, collaborative and adventurous careers in contemporary music. Drawing from a vast wellspring ofAmerican musical traditions, the singer/pianist/composer/bandleader has created a large and accomplished body of work and employed a vast array of stylistic approaches. Throughout this period, Hornsby has maintained the integrity, virtuosity and artistic curiosity that have been hallmarks of his work from the start. Rodriguez, the legendary singer-songwriter known only by his surname, is a self-taught guitarist. He began performing in bars and clubs around the city of Detroit in the 1960s, as the city suffered postindustrial urban decay. It was there that he recorded two studio albums, Cold Fact in 1969 and Coming from Reality in 1971 released on Sussex records. These recordings went unnoticed in the U.S. and Rodriguez eventually turned his efforts elsewhere, earning a bachelor's degree in philosophy from Wayne State University, running for political office and working construction and factory jobs to support his family. In the mid-1970s, his music gained airplay in Australia and New Zealand. He has since toured there several times, to play festivals, arenas & theaters. He released “Rodriguez Rocks – Live In Australia “ in 2016 on Light in the Attic Recordsand hasjust completed a multi-city tour of Australia in November/Decemberof 2016. In the late 1990s, South African fans finally sought him out, leading to the unanticipated renaissance of his music career. Their story is told in the 2012 Oscar award-winning documentary, Searching for Sugar Man, directed by MalikBendjelloul, which has given Rodriguez a new measure of fame in the U.S. with his music and story now reaching audiences worldwide. The film has been aired multiple times on PBS and public TV worldwide and is available on DVDand streaming TV. Rodriguez was unaware that he had reached legendary folk-rock super stardom status in South Africa, where mistaken rumors circulated that he had perished. As it turns out, South African anti-Apartheid activists and musicians alike were inspired by his counterculture lyrics. At the beginning of 2016 he went on a multi-city tour of South Africa, often playing multiple nights in arenas. Rodriguez now tours extensively in South Africa, Australia, Europe, Canada and the U.S., where he takes thoughtful appreciation in greeting longtime fans, and a new generation of listeners who find common ground in his music. His albums, Cold Fact and Coming from Reality have been re-released on Light in the Attic Records and the Searching for Sugar Man soundtrack is available on Sony Legacy. International media attention, awareness and accolades have since been bestowed upon both the documentary - Searching for Sugar Man and Rodriguez’s music. He has perhaps one of the most unique true music business stories of fleeting fame finally realized. Rodriguez is enjoying the collective heartfelt dream of a musician, beating the odds and finding a place in music history. With a music career that has withstood the test of time; the story of Rodriguez is one of sweet success. After starting his songwriting career as a teenager, Newman launched into recording as a singer and pianist in 1968 with his self-titled album Randy Newman. Throughout the 1970s he released several other acclaimed albums such as: 12 Songs, Sail Away, and Good Old Boys. In addition to his solo recordings and regular international touring, Newman began composing and scoring for films in the 1980s. The list of movies he has worked on since then includes The Natural, Awakenings, Ragtime, all three Toy Story pictures, Seabiscuit, James and the Giant Peach, A Bug’s Life, Disney/Pixar’s Monsters Inc. and Monsters University and, most recently, Cars 3 in 2017. Randy Newman’s many honors include six Grammys, three Emmys, and two Academy Awards, as well as a star on the Hollywood Walk of Fame. He was inducted into the Songwriters Hall of Fame in 2002 and the Rock and Roll Hall of Fame in 2013—the same year he was given an Ivor Novello PRS for Music Special International Award. Mostly recently, Newman was presented with a PEN New England Song Lyrics of Literary Excellence Award in June 2014. His new album, Dark Matter, will be released on August 4, 2017 on Nonesuch Records. Two guests, in particular, make definitive contributions to A Fool to Care. Bonnie Raitt duets sassily with Scaggs on vocals, and adds her characteristically sizzling slide guitar to “Hell to Pay,” a knowing indictment of corruption on both the personal and political level that Scaggs wrote himself. Lucinda Williams closes out the album with Scaggs on “Whispering Pines.” The two perform the song as a kind of prayer for deliverance, each of their voices yearning for a redemption that alternately seems barely within reach or drifting just out of reach. Performing with her band! Melissa Etheridge stormed onto the American rock scene in 1988 with the release of her critically acclaimed self-titled debut album, which led to an appearance on the 1989 Grammy Awards show. For several years, her popularity grew around such memorable originals as "Bring Me Some Water," "No Souvenirs" and "Ain't It Heavy," for which she won a Grammy® in 1992. Etheridge hit her commercial and artistic stride with her fourth album, Yes I Am (1993). The collection featured the massive hits, "I'm the Only One" and "Come to My Window," a searing song of longing that brought Etheridge her second Grammy® Award for Best Female Rock Performance. In 1995, Etheridge issued her highest charting album, Your Little Secret, which was distinguished by the hit single, "I Want to Come Over." Her astounding success that year led to Etheridge receiving the Songwriter of the Year honor at the ASCAP Pop Awards in 1996. Known for her confessional lyrics and raspy, smoky vocals, Etheridge has remained one of America’s favorite female singer-songwriters for more than two decades. $1.00 of every CITIZEN COPE TICKET purchased will go to towards various charities related to youths and art programs including TurnAround Arts and Beauty for Freedom. 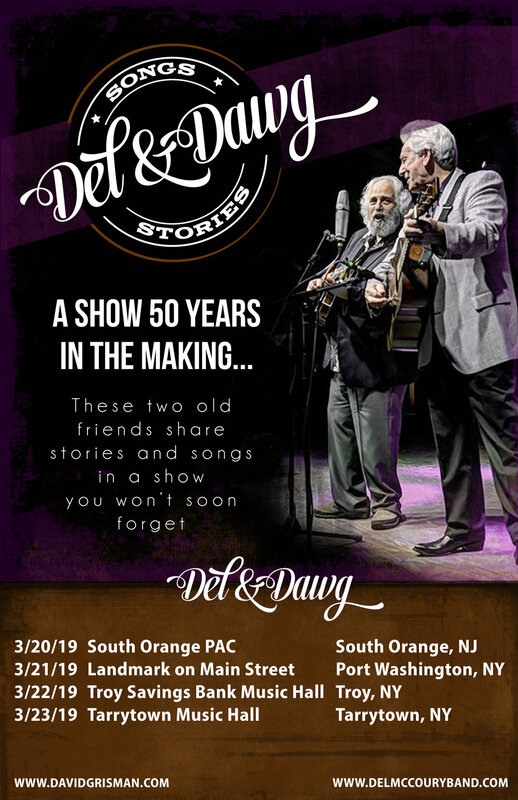 Celebrate 50 years with Peter and Paul as they reminisce on their time as part of America's favorite folk group! No American folk group lasted longer or amassed a more loyal following than Peter, Paul and Mary; indeed, few groups of any genre logged more years or miles in direct, yearly touring; spreading the message and engaging the next generations. During its legendary career, the trio won five Grammy’s, produced 13 Top 40 hits, of which 6 ascended into the Top 10 – as well as eight gold and five platinum albums. That PP&M achieved such a rarefied level of commercial success without compromise, while continuing a centuries-old tradition of people raising their voices in song for the sake of freedom, is simply further evidence of their extraordinarily successful career—as much a mission accomplished as a musical career. Mary Travers passed away in September 2009 and it was a loss to her family, friends and the nation. Mary was a passionate singer of songs, songs that have enlightened us and moved us to action as citizens of America and the world. Her life and legacy remain a great American treasure. Five-time Grammy Award-winning singer-songwriter and 2012 Nashville Songwriters Hall of Fame inductee Mary Chapin Carpenter stops at the hall with an intimate, acoustic performance. This tour marks Carpenter's return to singing both timeless hits and deep cuts from her expansive and beloved 13 album catalog after performing with orchestras in early 2014. Carpenter will be joined on stage by longtime friends Jon Carroll (piano) and John Doyle (guitars, bouzouki). Over the course of her career, Carpenter has sold over 13 million records. With hits like "Passionate Kisses" and "He Thinks He'll Keep Her", she has wond five Grammy Awards, two CMA awards and two Academy of Country Music awards for her vocals. Her songs speak to the most personal of life's details and the most universal. Opening for Carpenter is the Irish acoustic group Lúnasa. The band is internationally acknowledged as being the finest traditional Irish instrumental outfit of recent times. They are renowned for their stunning shows honed by superb musicianship and a constant touring cycle.